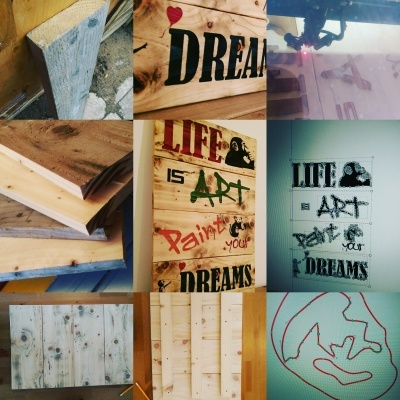 On this page you can find all the solid wood items that are currently in stock and ready for purchase. Our solid wood products on display here are the actual items you purchase as there is only one of each unless stated otherwise. For Laser cut products click here. This large wall hanging is one of a kind and is made from reclaimed pine. Laser engraved with the Liverpool football club logo then hand painted before being finished in Danish oil to give a rustic authentic finish. Hung on Thick jute rope to rear ready for hanging. An iconic image that brings so many mixed emotions and messages in how people percieve the little girl in the picture. Is she happy? Is she sad? Did she lose the balloon or is it a symbol of letting go of something you love? Laser engraved into solid sheet of reclaimed wood and painted by hand with Danish oiled edging giving a nice framed border. Hung on galvanised chain in true rustic industrial style and ready for hanging in a living space, office, bedroom or entryway. 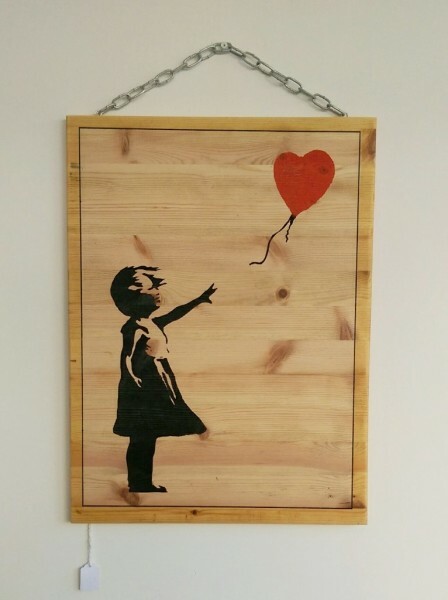 I made this whilst finding my creative side and love Banksy as an artist so it made sense to incorporate some of the inspirations his images gave me. Whether it's the chimpanzee pondering life and the evolution of man, the cheeky rat with an artistic streak or the little girl with her balloon. We can all relate to these artworks in some way shape or form because the hidden meanings behind the images can only come from the person viewing the picture. For myself as a creative individual, making this piece helped me to take my wall hangings in a whole different direction and look at the world in different points of view. 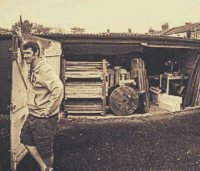 Made from wide reclaimed pallet boards with laser engraved detailing. Hand painted and finished in Danish oils. 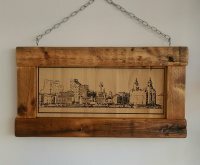 This is my first skyline image that has been transferred to wood and I was very pleased with the results. The image was captured from the Wirral side of the Mersey river and overlooks the central business district of Liverpool along with other iconic buildings that make our waterfront one of the most unique and beautiful in the world. ​The image has been digitally enhanced and laser engraved into solid reclaimed wood and mounted into a solid oak frame. The frame is made from timbers reclaimed from a LIverpool church renovation and is approximately 135 years old! Deep rustic nail holes and surface cracks gave this piece exactly the look I wanted ... An image of an industrial city that has evolved into a pool of culture and opportunity encapsulated in a solid part of it's history! 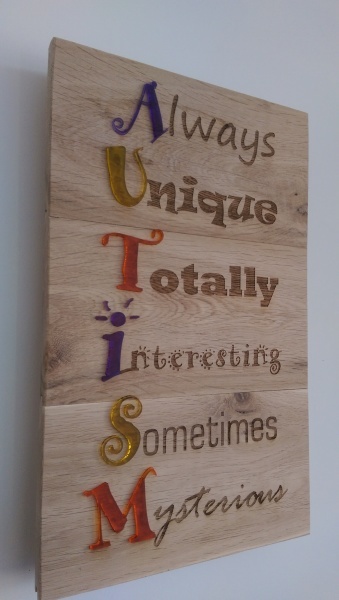 This laser cut autism awareness wall hangings are unlike any you will find anywhere else. 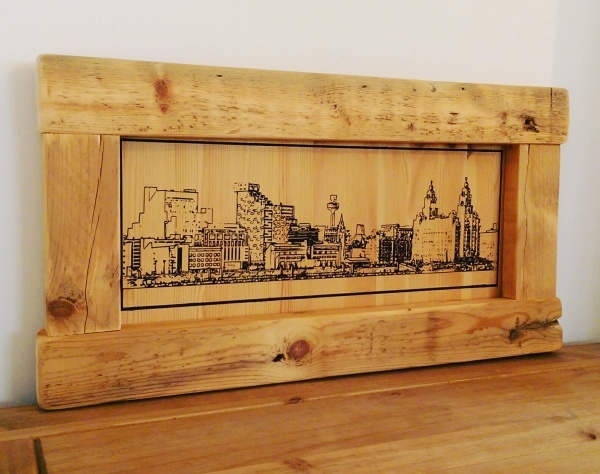 Completely unique and made from reclaimed oak floor boards measuring 2 cm thick and have been fine sanded before being laser engraved and finished with additional laser cut acrylic detailing. 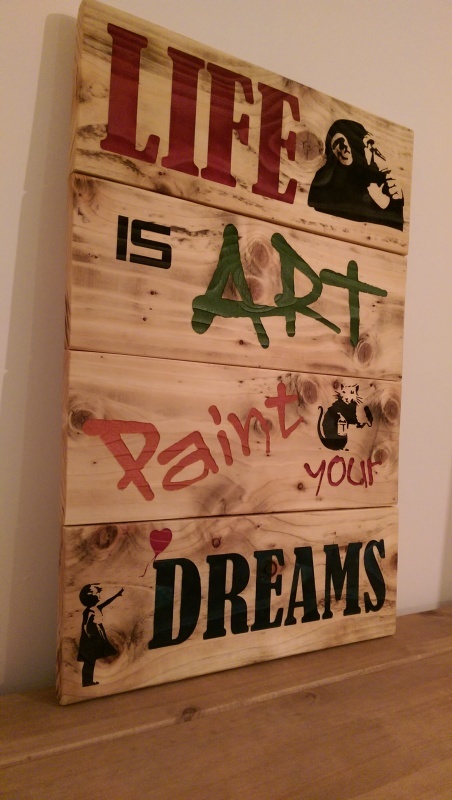 This would look beautiful in a living space, entry way, bedroom or playroom. Hung to the rear with thick jute rope. Perfect for making sure gamers have always got somewhere handy to place their drinks or Chug Jugs! Made from solid pine with chamferred edging and laser engraved detailing before being finished in matt varnish. A unique must for all man caves, bar rooms or even just about anywhere you enjoy your favourite drink! Laser engraved into solid reclaimed Oak and hand painted detailing, this would make an awesome gift to someone special! Hung to the rear on thick jute rope.